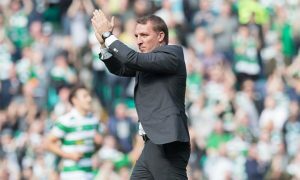 Celtic have been dealt a massive blow following the sudden exit of Brendan Rodgers. But they are closing in on an eighth successive Premiership title and a ‘treble treble’ to exhibit their domestic dominance. The Hoops were having a rough run until December after failing to strengthen themselves significantly during the summer transfer window. However, a series of winter inclusions galvanised the club to regain momentum and stretch the lead to ten points (over second-placed Rangers) at the top of the league standings. Celtic loaned in Jeremy Toljan, Oliver Burke and Timothy Weah whereas they recruited 22-year-old Vakoun Issouf Bayo from Slovak side Dunajská Streda for a fee of around £2m. The Ivorian was recommended by Kolo Toure who was a part of Rodgers’ coaching panel, and the then gaffer did not hesitate to cash in on the little-known centre-forward. The youngster, although capped twice for his country at a senior level, has become a forgotten man at Parkhead way too soon. He has been handed only three minutes of top-flight action against Kilmarnock and mostly been seen featuring for the reserves to stay match fit. Bayo has been called up for his nation’s U23 side but is aiming a place in summer’s African Cup of Nations in Egypt. 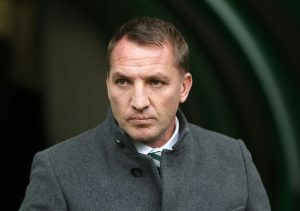 However, he needs gametime to attain that, and the departure of Rodgers has made his life tougher in Scotland as told in a recent interview (via The Daily Record). 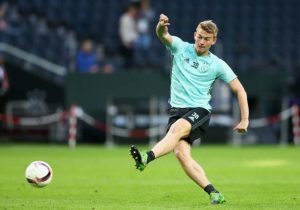 He is now the fourth choice ‘number 9’ behind Odsonne Edouard, Oliver Burke and Timo Weah in Neil Lennon’s plan and desperate to convince the new boss to turn things around. Bayo was one of the leading scorers in Slovak Super Liga before plying his trade for Celtic. He is understandably finding it hard to settle in new surroundings but, at the same time, must keep his patience and wait for his chances at least for a few more months. The situation might take a turn in the summer when Burke and Weah would return to their parent clubs upon completion of their loan stints leaving Edouard and Bayo as the only centre-forward options. Leigh Griffiths has taken his time off to tackle off-field problems and is yet to announce his return. Celtic have gambled in on the Ivorian hitman and should hand him minutes to prove his worth before deducing a conclusion. The player must remain optimistic of a better future in spite of a difficult start to his Celtic days. Celtic Want This Italian To Bolster Their Attack: Right Move By Rodgers? 4-2-3-1 Celtic Predicted Line-up To Face Aberdeen: Gamboa And Tierney To Start? Celtic In With A Chance To Extend This Player’s Loan Spell: Massive Boost For Rodgers?